When the New York Jets had their Week 1 game on Monday Night Football, it wasn't just the start of their 2018 season. It was also the beginning of the end for their current uniform set. That's because the Jets recently announced that they'll have new uniforms for 2019. The Jets have had three major uniform eras so far. The first, which ran from 1965 through 1977, featured the team's signature football-shaped helmet logo and contrast-colored sleeves. This is the look that Joe Namath wore while guiding the Jets to victory in Super Bowl III. 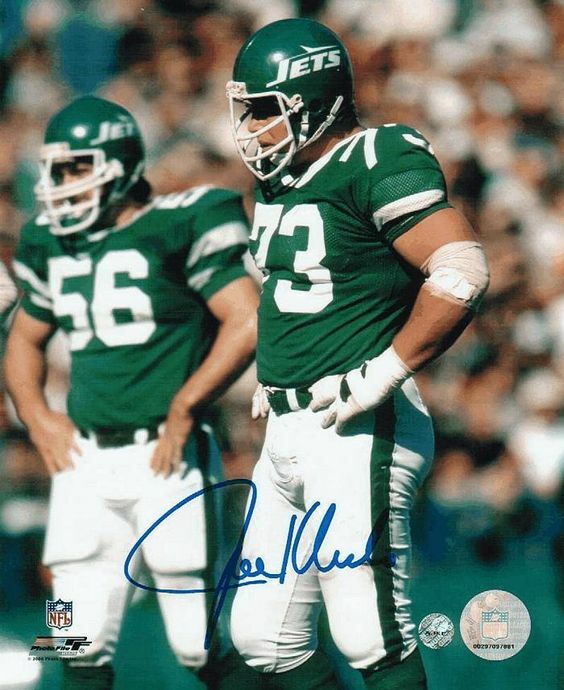 The Jets then pivoted to a new look from 1978 through 1997, the period defined by the New York Sack Exchange. 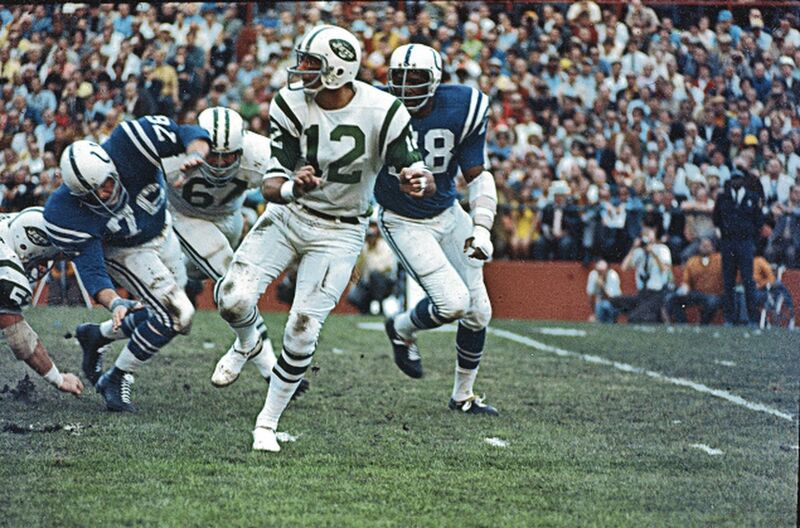 And then they went back to the Namath-era look in 1998 and have maintained it up through the present day. The new uni set won't be unveiled until next spring. Fortunately, we don't have to wait that long, because we're issuing our latest Uni Watch design challenge: Redesign the Jets! • Your entry must include a primary logo, full home and road uniforms (helmet, jersey, pants, socks), and up to two alternate, Color Rush, or throwback uniforms. If you like, you can also include secondary logos and a field design, but those aren't required. • You can maintain some of the team's current elements (the helmet logo, say, or the color scheme), draw upon the team's visual history, or start from scratch and change everything. Up to you. • Your designs can be created in any digital or analog medium (Illustrator, Photoshop, crayon, whatever) and can be submitted in any standard digital format (JPG, PDF, TIFF, etc.). You can also create a video presentation, upload it to YouTube, and submit the YouTube link as your entry. • The files you submit should be named after yourself (PaulLukas.jpg, for example). If you're submitting multiple files, please either number them (PaulLukas1.jpg, PaulLukas2.jpg, etc.) or use some other designation (PaulLukas-homeuni.jpg, PaulLukas-logo.jpg, etc.). Files that don't follow this format will not be considered. • In keeping with longstanding Uni Watch chromatic policy, entries with even a hint of purple will not be considered. • Email your entry to Uni Watch HQ. If you have more than one concept, feel free to enter as many times as you like. Deadline: Friday, Sept. 21, 7 p.m. ET. The best entries will be showcased in an upcoming Uni Watch column. Good luck!